Many types of pressurized equipment are protected by rupture discs which are installed in special flange-like holders that capture and seal the discs, preventing leakage of the process fluid. To ensure proper functioning when used in corrosive process fluids the integrity of the holder as well as the disc must be retained as corrosion can cause premature failure. Tantalum is an industry accepted material used to prevent corrosive attack over time for these assemblies. 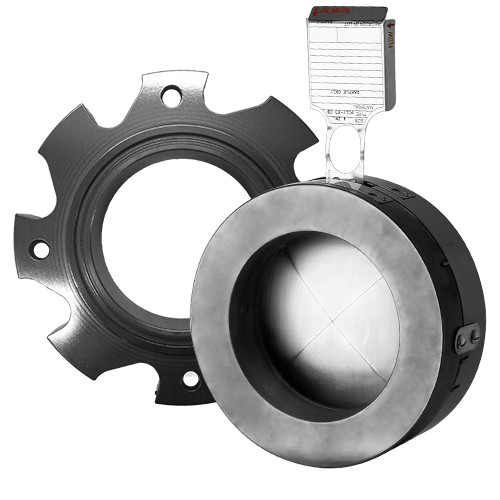 Tantaline® treated holders are highly compatible and well suited for use with tantalum or graphite rupture discs found in a wide range of industrial processes. The resulting assembly provides reliable protection and extended service life of the associated equipment. Tantaline® treatment is a cost-effective option for achieving long term corrosion resistance and reliable sealing for the various holder types. The Chemical Vapor Deposition (CVD) process used by Tantaline® produces a uniform tantalum layer that conforms to complex geometries and adheres to the substrate through diffusion bonding. The resulting smooth tantalum surface ensures proper sealing of rupture disc in the holder and prevents corrosive process fluids from adhering to the metal surface. Tantaline® treated rupture disc holders offer chemical and mechanical performance superior to those made of Hastelloy®, titanium, or zirconium along with economical pricing and short lead-times. 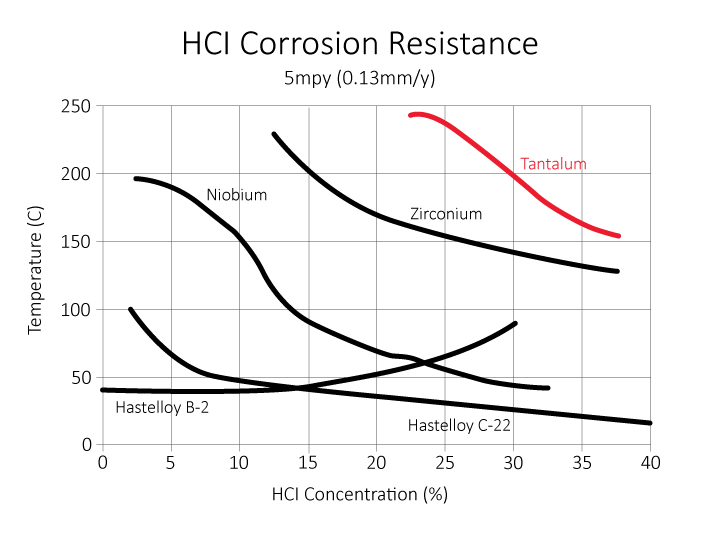 Stainless Steel, Hastelloy®*, and Inconel®** rupture disc holders are susceptible to Stress Corrosion Cracking (SCC) and pitting especially in hot acids. Chemically resistant to SCC and pitting in many aggressive media and environments. Superior corrosion resistance against wet, dry chlorine atmospheres, and other chlorinated environments. *Hastelloy® is a registered trademark of Haynes International. **Inconel® is a trademark of Special Metals Wiggin Limited. ***FJ, H. (n.d.). Properties of Tantalum for Applications in the Chemical Process Industry.